A warm welcome awaits you at Old Post House Bistro. Our friendly and personable team are on hand to offer a relaxed and comfortable environment for you on every visit. We are committed to serving delicious home cooked meals using the best locally sourced ingredients. The Bistro has proven to be popular since its opening in July 2018 and we have received lots of great feedback and return visits. 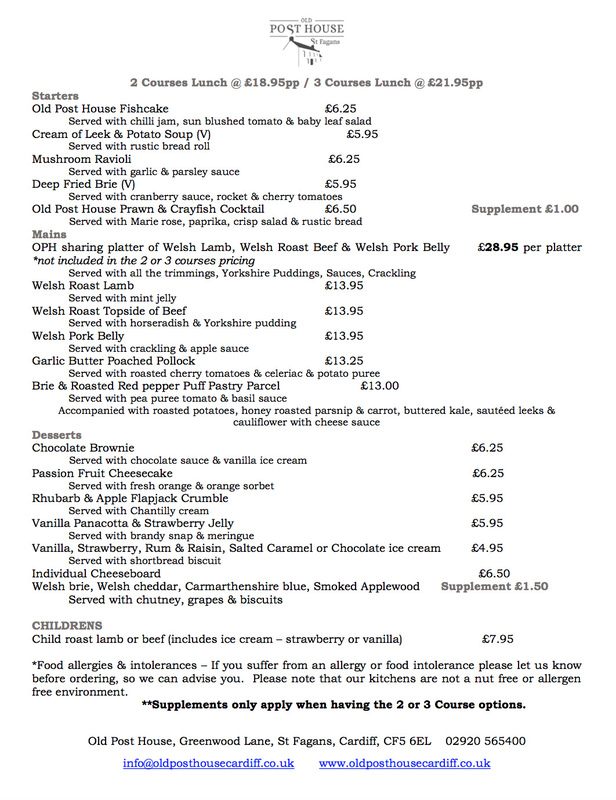 Our menu changes seasonally, keeping our most popular classic dishes, with some exciting new additions to fit with the best of local seasonal produce. 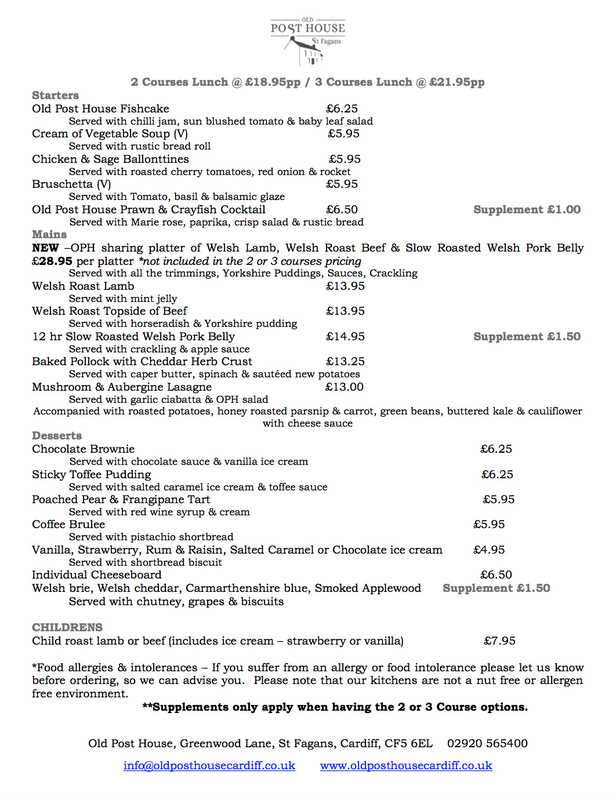 Old Post House Bistro serves afternoon tea each day, although we do ask for this to be booked with 24 hours’ notice. 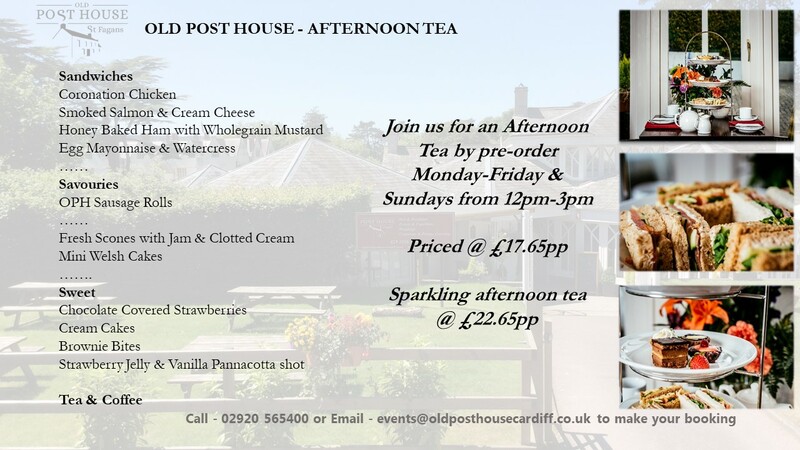 Indulge in a delightful afternoon tea in the beautiful and tranquil surroundings of Old Post House. Served on a traditional tea stand are freshly cut finger sandwiches, mini home baked pies, fruit scones served with clotted cream and strawberry jam. A selection of miniature cakes and welsh cakes served with your choice of freshly brewed filter coffee or a pot of Welsh tea. 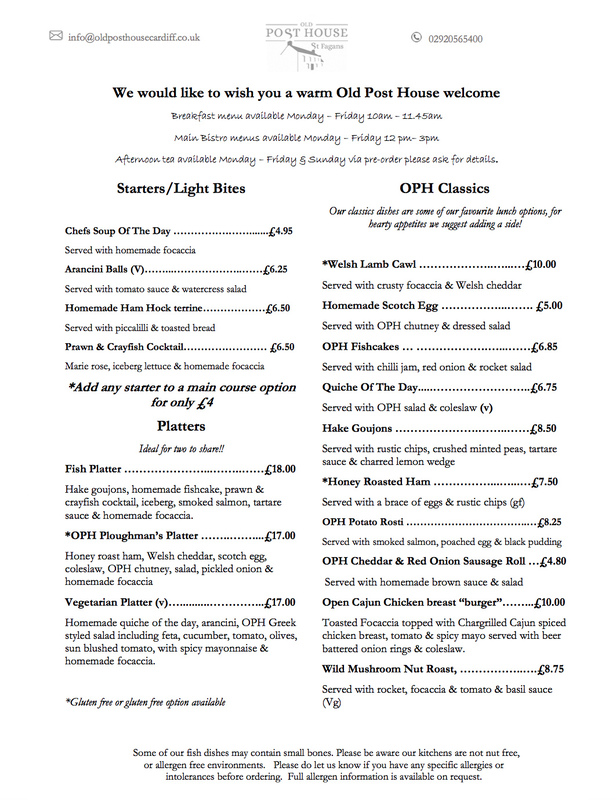 Why not treat a friend or family member to an Old Post House Bistro voucher. 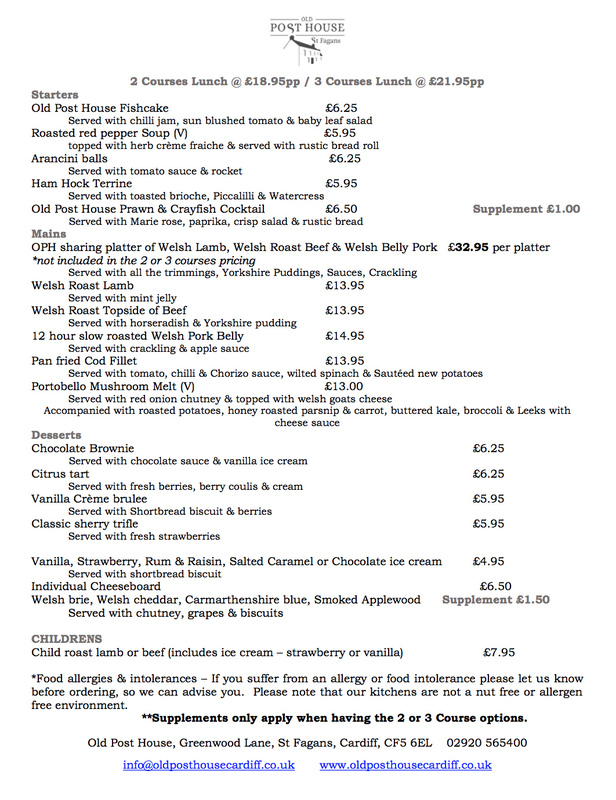 These can be purchased daily in the Bistro and can offer a meal for two, afternoon tea or a Sunday lunch. The Bistro is open daytimes Monday – Friday from 10am. Our beautiful conservatory style reception room offers relaxed dining in a cosy and tranquil setting, it is the perfect light, airy setting and it complements our mouth-watering menus. It really is the perfect location for Sunday lunch. Our Sunday lunches are proving to be a huge success. 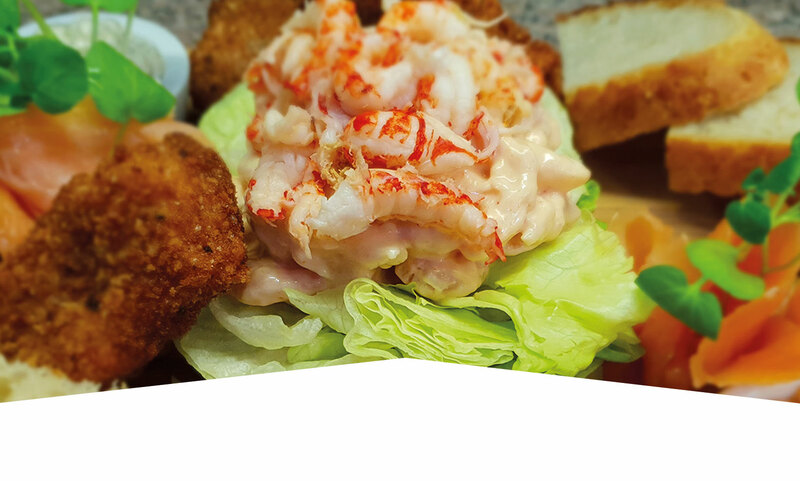 Delicious home cooked food, succulent hand carved joints, friendly and relaxed service all in the welcoming environment of our beautiful glass fronted reception room. It really is the perfect way to enjoy a Sunday afternoon surrounded by family and friends. A family run and owned business which prides itself in being warm and welcoming. That is quickly gaining a fantastic reputation for quality, home cooked food, with a friendly and efficient service. It is a great place to come with all the family or with friends, you really will not be disappointed. 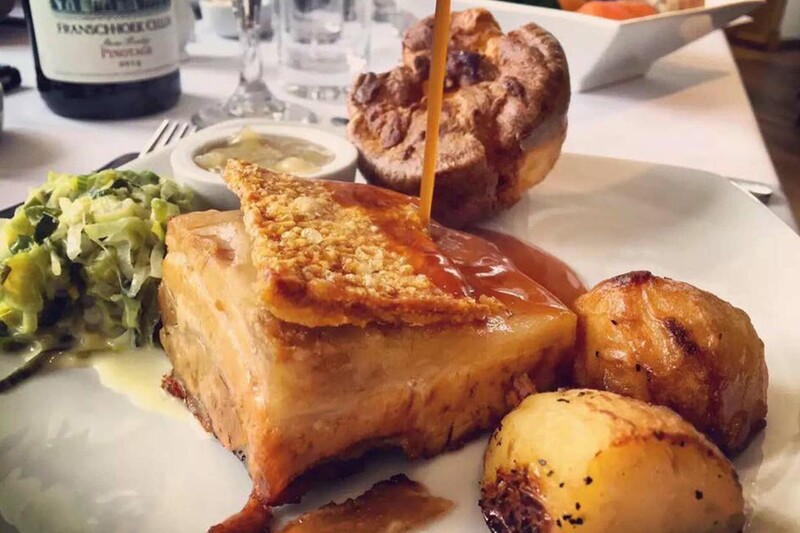 Our Sunday lunches are served between 12.00pm and 3.30pm be sure to book quickly to avoid disappointment. Our menus use local produce and change on a regular basis, ensuring we remain both fresh and current.